Chinese ink painting is being redefined thanks in part to a group of innovative artists who are pushing the boundaries of this traditional medium and moving it to the abstract, modern and even surreal. 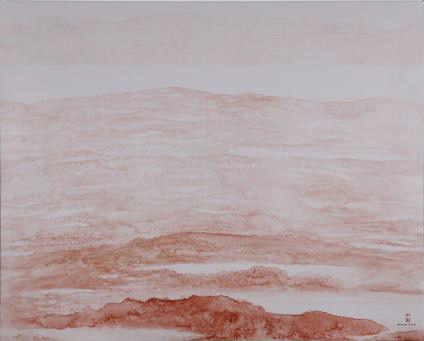 Charm of Ink and Wash, is comprised of a grouping of four solo shows by China’s rising stars Yin Yi, Wang Fei, Shen Xiangyin and Zhaung Yujun and a group show featuring works by Ding Zhujung, Hao Shiming, Jia Qiuyu, Li Gang, Li Geye, Lu Tianning, Shen Qin, Yu Zhengu and Zhang Yuxin. This exhibition is sponsored by China Cultural Media Group, Beijing (CCMG). Perhaps the most iconic medium in Chinese art, ink painting is an ancient tradition, with a history spanning more than 2000 years. In the late 19th and early 20th century, Qing Dynasty was opened to Western countries, and consequently exposed to Western art forms. At this time, Chinese scholars equated traditional Ink painting as a symbol of the rapidly crumbling Qing Dynasty. In the 1920s, Chinese ink art experienced its Renaissance period, and it gained almost equal status with Western styles. But after 1949, this art form was used as propaganda art. Beginning in the 20th century, due in part to a deepening interest and influence of Western culture, ink painting had become distanced from contemporary visual arts and was more affiliated with traditional or ethnic arts. Contemporary art continued its evolution towards more western forms of painting while ink painting and the other traditional forms grew inspiration from the historic. In recent years, a dedicated group of painters, schooled in traditional ink painting saw the potential to develop new brush work, igniting fresh ideas into an ancient art form. 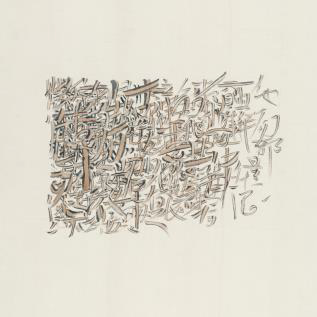 Since then, contemporary ink painting has been gaining momentum across the international auction market with recent sales in Hong Kong toping more than 25 million. It is also leaving its mark on galleries and world-class museums. The Metropolitan Museum of Art, the San Francisco Asian Art Museum, the Museum of Fine Arts in Boston and the Asia Society have all hosted exhibitions of contemporary Chinese art in recent years. 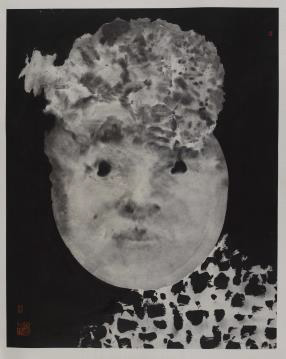 Many of this new group of Chinese ink painters, including Wang Fei– a leading figure in experimental ink painting– realized that the expressive forms and artistic pursuits of traditional ink painting share certain similarities with Western Expressionism: the freedom of brushworks, the expression of personality, the catharsis of emotion, the figuration of imagery. They started to borrow the concepts of Western Expressionism to revamp traditional ink painting. They try the new symbols and styles of composition while preserving the essence of ink, brush, and xuan paper. They discovered a new way of expression of the self. Using exaggerated shapes, they attempt to show flexibility in the spatial arrangements and turbulence of ink effects. “The long history of China is a splendid example of continuation, transition and creation. Chinese contemporary art has a continuation and transition not only between East and West, but local traditions as well. The new generation of ink painters take Western contemporary art patterns as reference, and incorporate Chinese art traditions and values to create brand-new Chinese contemporary artistic ecology” explains Wu Zhan, the curator in Charm of Ink & Wash.
“The theme for the exhibition is two-faceted, on one hand, we stressed the continuation of culture, and on the other hand, we emphasized the importance of transition. We are working towards breaking the boundaries between fine art, folk art and religious art. Through the “Charm of Chinese Ink and Wash” and “Gorgeous Intangible Cultural Heritage”, we are focusing on art and craftsmanship,” states curator Wu Zhan. 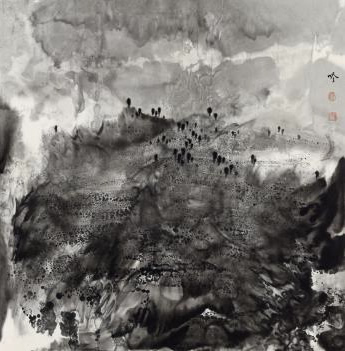 Wang Fei, is one of the leading figures in Chinese experimental ink painting. Highly emotional, his works present dichotomies and travel between joy and anger; laughter and tears as well as life and death. 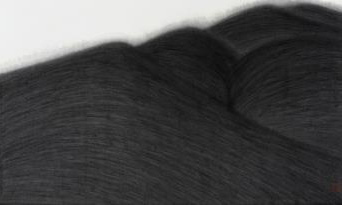 The Group Show Gorgeous Cultural Heritage will feature 9 of artists from China who are pushing ink painting to new levels. Part of the next generation of painters, these artists merge traditional techniques with contemporary practices and subject matter. Ink on Xuan paper, Mixed media. The LA Art Show has become the most internationally diverse art platform in the Western world, bringing in the largest groupings of Korean, Chinese and Japanese galleries outside of Asia. 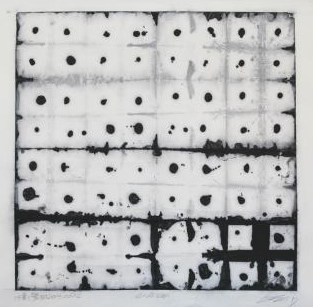 Beginning in 2010, the Show has actively developed its international gallery offerings to provide collectors with a unique opportunity, to spot international trends and zeitgeist through art, a medium that has the ability to transcend language. The LA Art Show takes place from January 27-31, 2016 at the Los Angeles Convention Center, West Hall A 1201 South Figueroa Street, 90015. For additional information, visit www.laartshow.com. General admission to the LA Art Show is $20. Media inquiries please contact Agnes Gomes-Koizumi at agnes@agkmedia.com or call 323-937-5488.